Primera Air suddenly shut down on Tuesday, stranding customers and employees — including flight attendants and pilots — in North America and across Europe. The low-cost carrier issued a surprisingly candid statement on its website on Monday, citing its decision to file for bankruptcy on problems with a faulty plane and delays with the delivery of a new Airbus fleet — a combined cost for the company of 30 million euros, or $34.6 million. “This is a sad day for all the employees and passengers of Primera Air. The company has been working relentlessly during the last months to secure the long-term financing of the airline. Not being able to reach an agreement with our bank for a bridge financing, we had no other choice than filing for bankruptcy,” a statement on the company's website said. “In 2017, the company lost one aircraft from operations due to severe corrosion problems and had to bear the total cost of rebuilding,” which cost the company 10 million euros ($11.5 milion),” Primera's statement said. “2018 began with a fantastic start of our low-cost, long-haul project with a brand-new Airbus 321neo fleet, however, due to severe delays of aircraft deliveries this beginning ended up being rocky” resulting in operational issues, canceled flights and a major loss of revenue. The company also cited rising fuel costs and the arms race for ever cheaper flights as a reason for shutting down. Across the industry, airlines have issued warnings that rising fuel costs are impacting business. On Monday, Ryanair, the largest discount carrier in Europe, announced lower-than-expected earnings, citing increased jet fuel prices and labor issues. On Tuesday, an email to Primera for comment was returned with an automated message confirming that there were no longer any employees, including media relations. Primera Airline is seen here in this undated file photo. On his LinkedIn page, Primera CEO Hrafn "Krummi" Thorgeirsson's job description listed his experience at Primera Air as "past" and showed that his tenure ended in September 2018. Some experts noted that Primera's ambitions targeted a competitive route that has seen a lot of recent entrants with mixed results. In September, another low-cost airline, Level, postponed its New York to Paris and New York to Martinique service citing operational issues, igniting social media protests from customers. 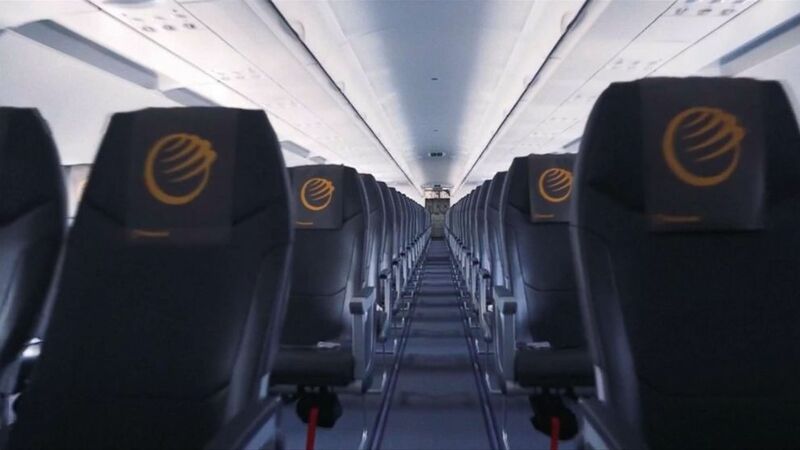 "Primera Air chose the very lucrative and very competitive transatlantic market to target aggressive expansion. This expansion was hit with delays due to the engine issues on their A321neo aircraft. The low ticket price resulted in a lack of cash flow that has inevitably resulted in their demise," aviation expert Robert Nolan told ABC News. He flew on one of Primera's last flights. The Civil Aviation Authority in the United Kingdom released a statement Monday informing UK passengers that they would have to contact Primera Air directly for refunds. But since the company filed for bankruptcy, the call centers and customer service departments are no longer operating. In a separate statement, the CVA alerted passengers that British Airways, Norwegian, Virgin Atlantic, Delta Airlines and other companies will be offering Primera Air customers rescue fares to help them return home. “I’ve never been in a situation where an airline declared bankruptcy and just stopped operating with no advance notice to the consumers, and leaving them stranded,” the National Consumers League’s John Breyault told ABC News. For affected consumers, Breyault recommended trying to get a refund through a credit or debit card for fliers without travel insurance. "The process may take some time so funds needed to purchase a ticket home may not be immediately available" if you're stranded, he said. For customers who could afford to buy a new ticket, he recommended looking for repatriation or "rescue fares" offered by other carriers. On Tuesday, rival Norwegian quickly offered flights discounted 50 percent for customers on several of the now-obsolete Primera routes. Icelandic's low-cost carrier Wow airlines tweeted an offer to fly home a Primera flight attendant who was stranded in Toronto, who tweeted at the Icelandic carrier and British Airways asking for help getting home to England. Virgin Atlantic also tweeted an offer to help affected passengers, which said: "Are you stranded in London, New York, Washington DC, Boston, or Toronto with a Primera Air ticket? Virgin Atlantic can help."